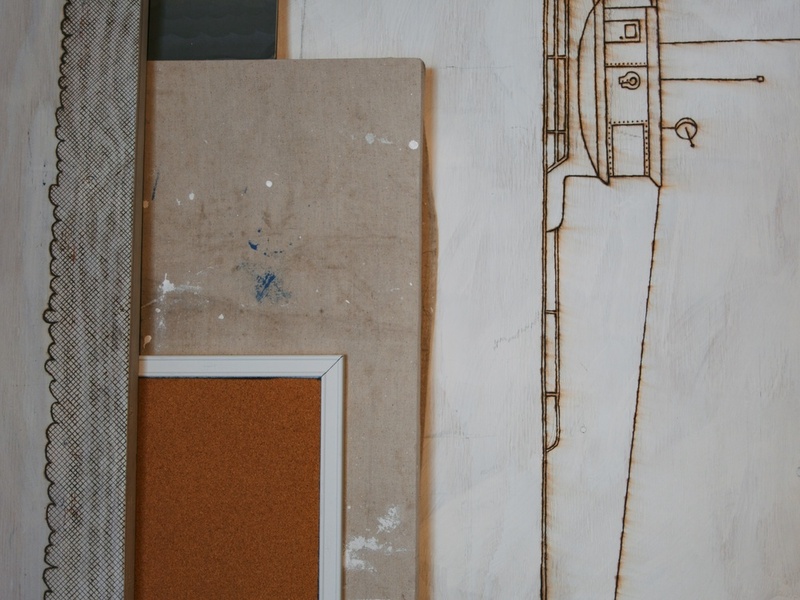 Built plywood cabinet containing books (adventure novels, woodworking manuals, scuba diving field guides, and sailing handbooks), cut paper waves, and foam ship models, sitting underneath a depiction of the sea from cut paper waves glued to plywood panel, 16x2x6 feet, 2014. View of Installation. Step stool arranged in front of wall with sticky notes and cut paper wave box. Carved wooden box containing stacked cut paper waves, 6x1x1 inch, 2014. Sticky notes with drawn birds, 12x4x4, 2014. Step stool built from painted plywood with squid drawing and list wood burned into the top, 18x8x10 inches, 2014. Jacque Cousteau doodled on painted plywood, stacked on top of doodled birds and painted caution stripes, 16x16x16 inches, 2014. 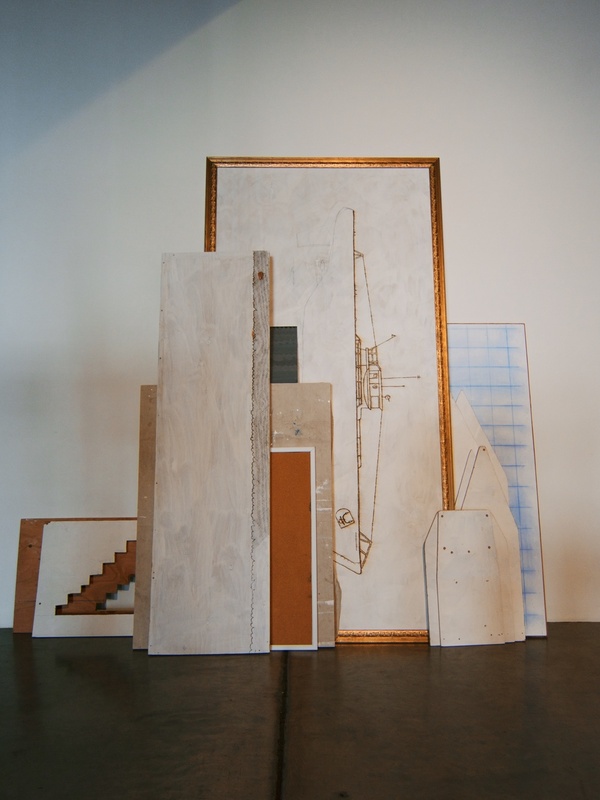 Various plywood scraps leaning against the wall containing abandoned projects that have been wood-burned, painted, and cut into, 8x8 feet, 2014. 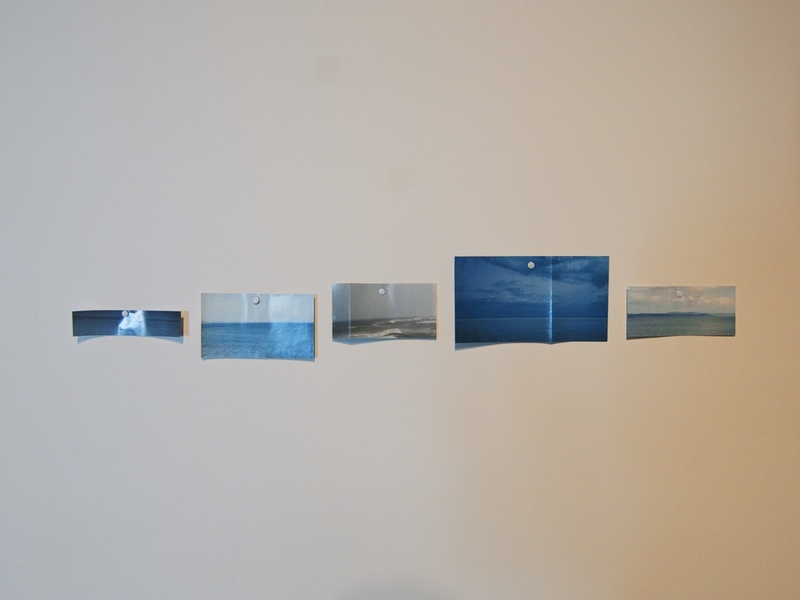 Cut out National Geographic image of ocean horizon pinned to the wall, 2014. 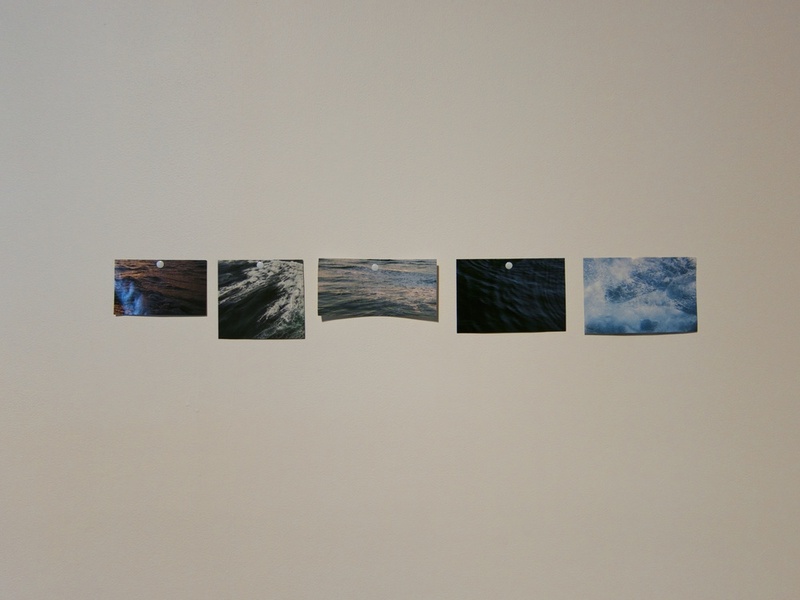 Pinned cut out National Geographic images of water, 20x6 inches, 2014. 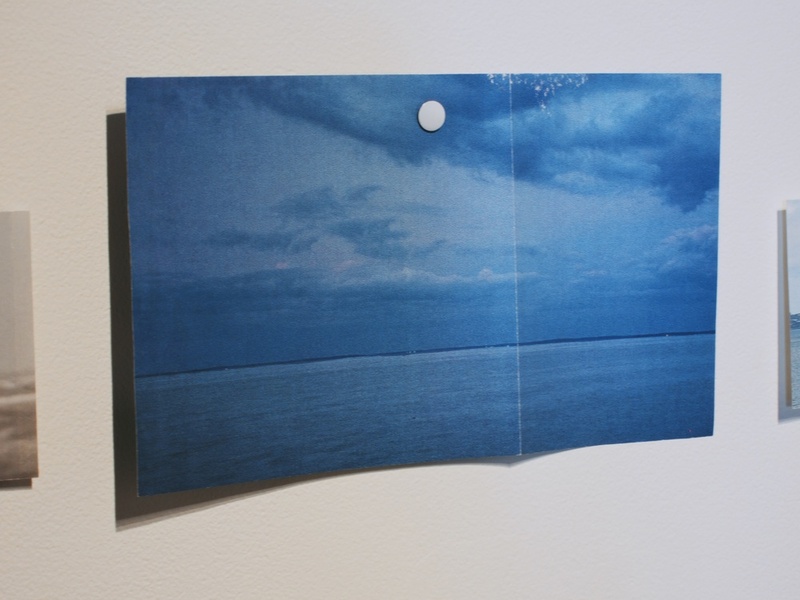 Pinned cut out National Geographic images of horizons, 20x6 inches, 2014. 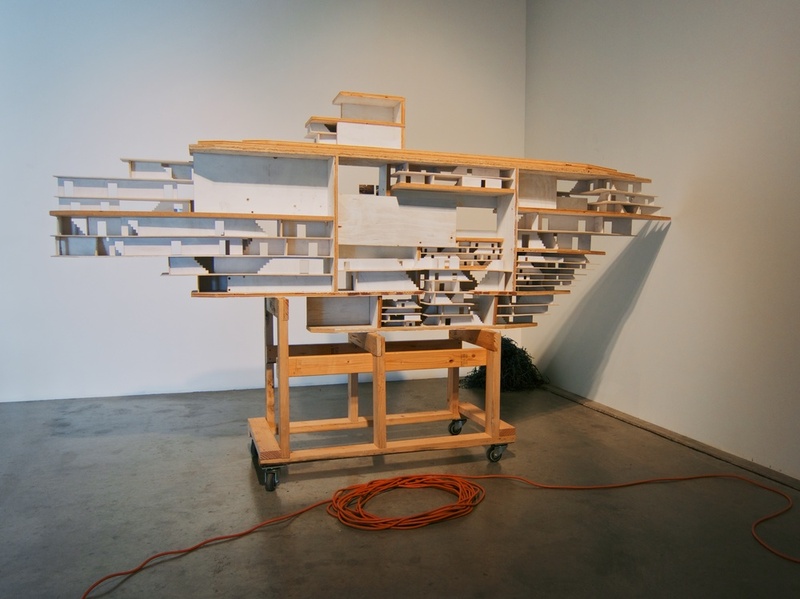 Model ship built from plywood, 2x4s and casters, 10x6x4 feet, 2014. 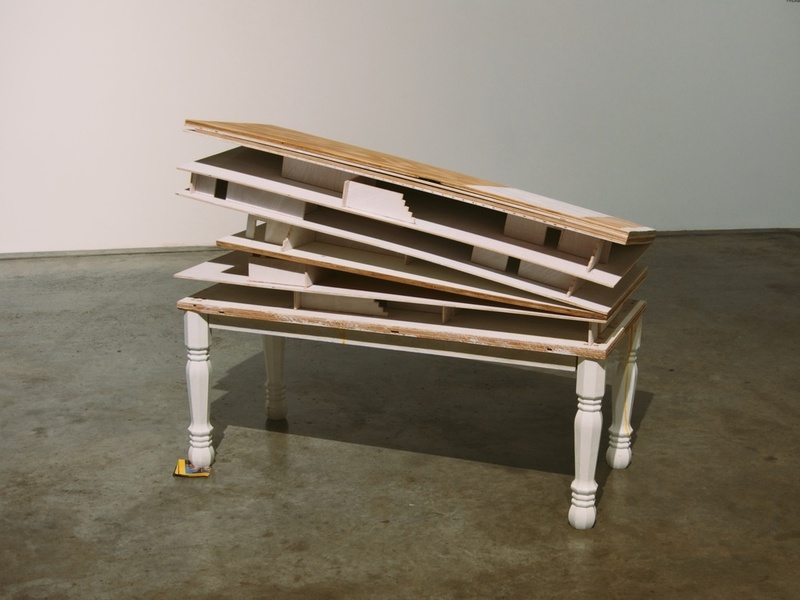 Built coffee table and model ship interiors built from scrap plywood and found table legs with folded National Geographic cover leveling one leg, 24x48x18 inches, 2014. Various scrap pieces of models and furniture units housing stacked National Geographic magazines, paint can with waves drawn on the side, and television playing footage from History Channel special on the giant squid, 18x6x3 feet, 2014.